LibraFire provides you with the best mobile app design services. 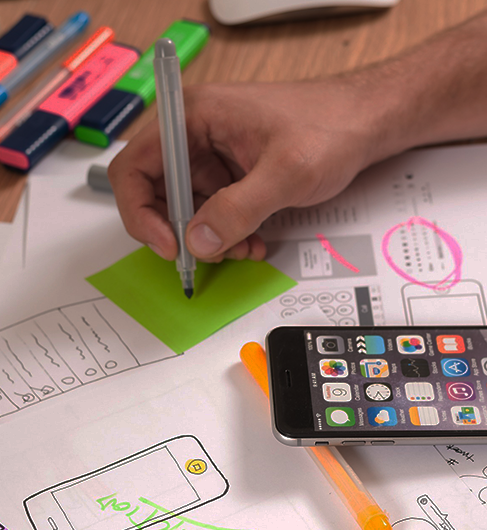 We have been continuously adapting to meet the competitive technological advancements and have initiated an exceptional skill in application designing services. With a feel for modernization and sophistication to match business requirements, we have made our clients satisfied by our persistent support and unbeatable designing services. iPhones have always been making a buzz with their existence in the market. Despite the number of iPhone users which is not yet equal to android figures, iPhones make an outstanding impression on the market thanks to their upscale and advanced features.